Combine nature, sports and relaxation! Be amazed by the beauty and magnificence of the Lake Arenal and its volcano. Get to know the unique history and secrets of the Castillo town zone and the Lake Arenal. 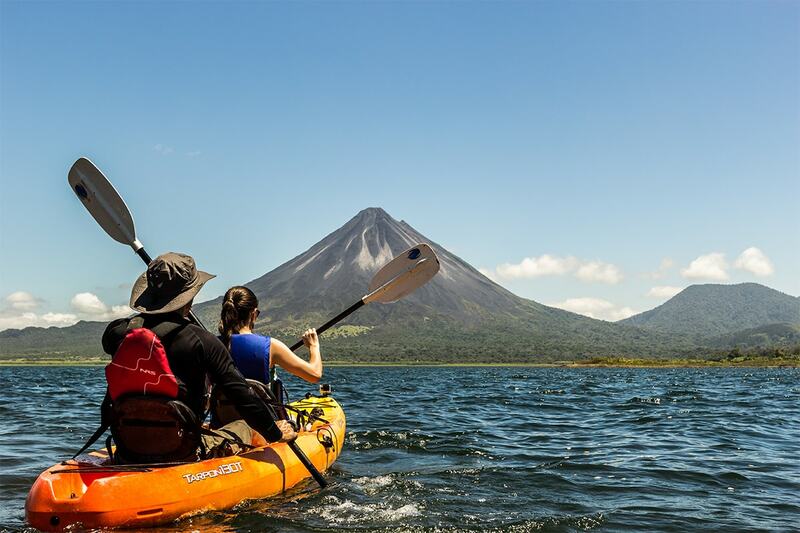 Experience the scenic and beautiful Lake Arenal from the unique perspective of a kayak. The Lake Arenal area offers incredible kayaking opportunities with its ample spaces. On the kayak tour, you will be accompanied by a guide, who will give you proper paddling instructions. Our guides will teach you about the areas natural history, and about the magnificent volcano which you will always have beside you.